San Diego Athletic Trainers kicked off National Athletic Training Month with Advocates for Injured Athletes’ inaugural event “Relay The Message.” It was a walk/jogathon to spread awareness of the profession of athletic training as well as a fundraiser for their Athletes Saving Athletes program (ASA). 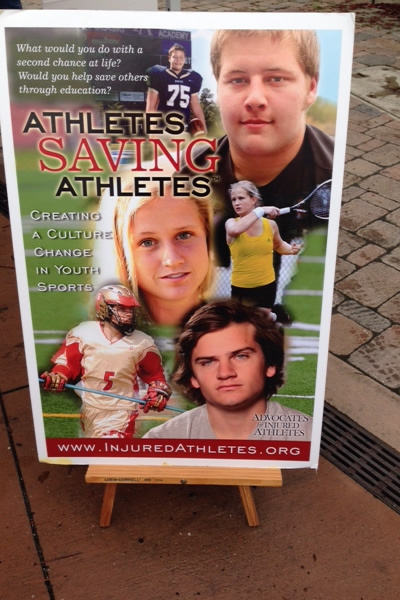 ASA teaches middle school and high school student athletes CPR and signs and symptoms of concussions and heat illnesses. 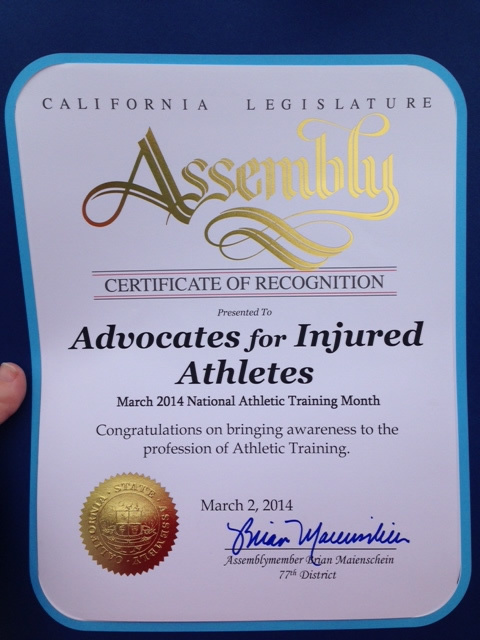 The event had a great turnout despite the rainy weather and garnered support from California Assembly Member Brian Mainschein from District 77 as he recognized Advocates for Injured Athletes for bringing awareness to the profession of athletic training! 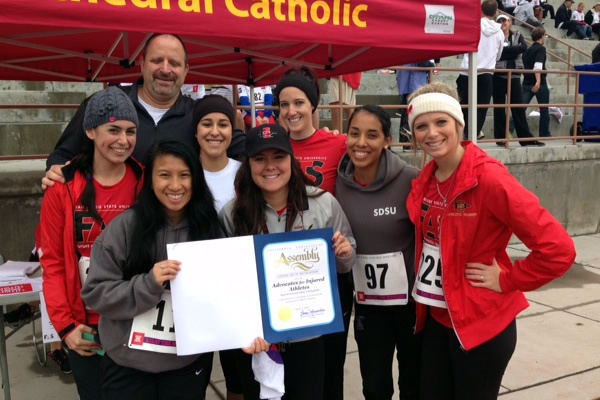 Athletic trainers and athletic training students from around San Diego attended along with parents, high school student athletes and other members of the community. By the day of the event over $4000.00 dollars had been raised for the ASA program!